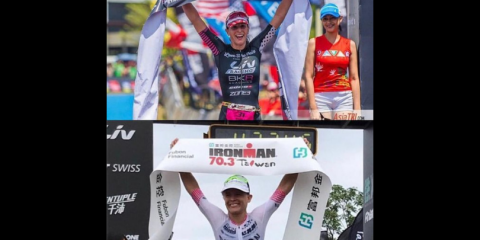 When we talk about the lack of diversity in triathlon —and to be sure, there is a lack — we tend to talk about it as a obligation for the good of others, a chore to be magnanimously fulfilled. Eat your broccoli; allow women and minorities to compete. As if there are no benefits the sport itself can accrue by becoming more diverse in every sense of the word. According to a survey of about 56,000 of its athletes, USA Triathlon membership is around 88% white. Since the question is optional, and not all members choose to answer, the data is somewhat incomplete. But it doesn’t take any indepth analysis to look around at most races and realize that a lot of people are missing. Variety would be good at the top-level of the triathlon industry, but it’d also be good on the start line. A sport that is 88% white (not to mention 63% male, and definitely mostly wealthy) is not, that I know of, reflective of any population. That means it does not truly serve or fully take advantage of the population either. Bringing a wider range of experiences and people into the sport isn’t just good for the people who now get to experience triathlon, but it is also good for triathlon. It’s been shown over and over again that in work and political settings varied experiences bring varied takes on problem-solving, new ways of looking at things, and a larger range of skills. 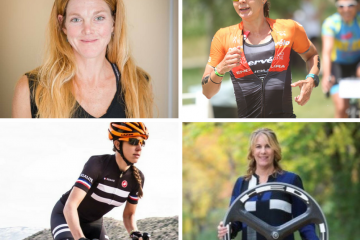 It’s not that everyone currently competing in triathlon has the exact same experiences and history, but there are many backgrounds that are missing right now. Variety would be good at the top-level of the triathlon industry, but it’d also be good on the start line. When the sport doesn’t tap into the full potential of everyone, it’s limiting the athletic possibilities. The best triathlete in the world may be someone right now who’s never even heard of triathlon, someone who doesn’t fit in that 88%. Think what we’re giving up by not reaching as many different people as we can. We’re giving up new stories, new athletes, new ideas. We’re also giving up a wider fan base, a wider advertising base. There’s a reason the most popular sports also tend to have diverse athletic bases, creating appeal across demographics. USA Triathlon has a task force focused on increasing its non-Caucasian outreach, and I’m sure other governing bodies have similar efforts in the works. They’re primarily focused on the tangible barriers to participation. Things like pool access and cost. But there are also social barriers that are harder to overcome. No one wants to feel like an outsider or to be the only person who looks like they look. You want to do what all your friends are doing and if none of your friends are doing triathlon, then it’s hard for USA Triathlon to convince you it’s cool to run around in wet spandex. There are tangible benefits to having a more diverse triathlon community. There are also benefits to doing triathlon. Most importantly, though, it’d just be more fun if everyone wasn’t the same.